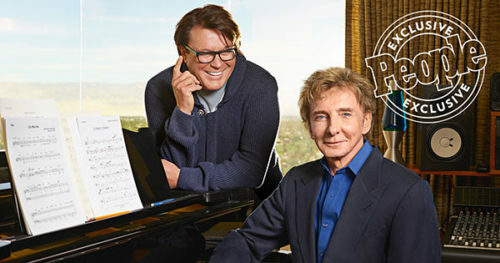 Barry Manilow is gay and he wants the world to know he and his husband — and manager — are very happy. “He’s the smartest person I’ve ever met in my life — and a great guy, too,” Manilow said of Garry Kief. No, this is not fake news, and not one of those, “I thought we all knew that a long time ago” stories. People magazine reports the “fiercely private” 73-year-old pop icon invited a reporter and a photographer to their Palm Springs home for an exclusive interview and photo shoot. The singer talked for the first time publicly about his nearly 40-year romance with Kief. Not surprisingly, the Brooklyn-born singer composer confessed his first love was music, followed by his high school sweetheart Susan Deixler. “I was in love with Susan,” Manilow said. Manilow told the magazine he met Kief, a TV executive and Houston native, in 1978, and fell in love. Thus began not only a nearly-four decade relationship as manager and singer but also a secret love affair. Of course, Manilow’s sexuality was an open secret to his long-devoted, mostly female fans, but People calls his coming out “a shock to others,” given that for a time, he lived with television production assistant Linda Allen, during his relationship with Kief. Manilow and Kief finally married in a clandestine ceremony at their 53-acre Palm Springs estate in April 2014.